We can’t believe it! Dogs are in the swimming pool near us. This swimming pool and park are near our house. 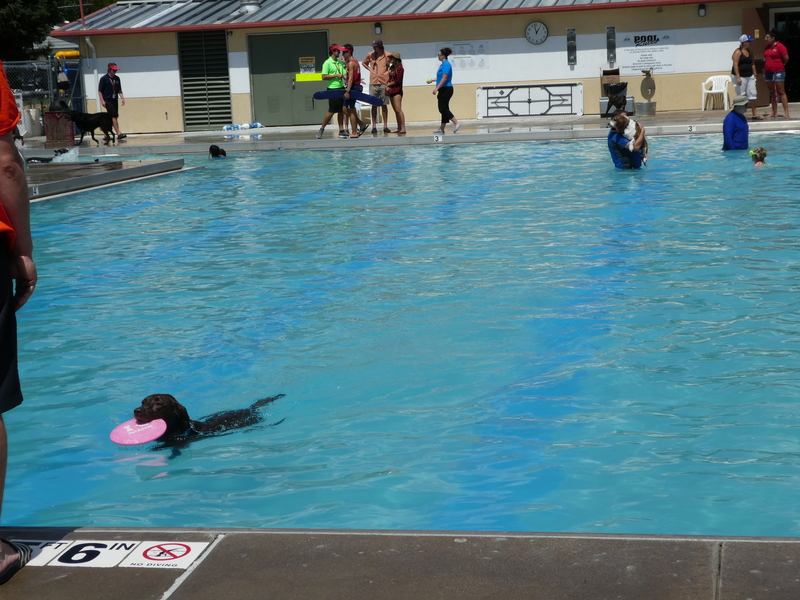 Usually we see many children in the pool, but today dogs are welcome here. Our public school began classes on Thursday. Friday was the last day for regular season swimming in the pool. 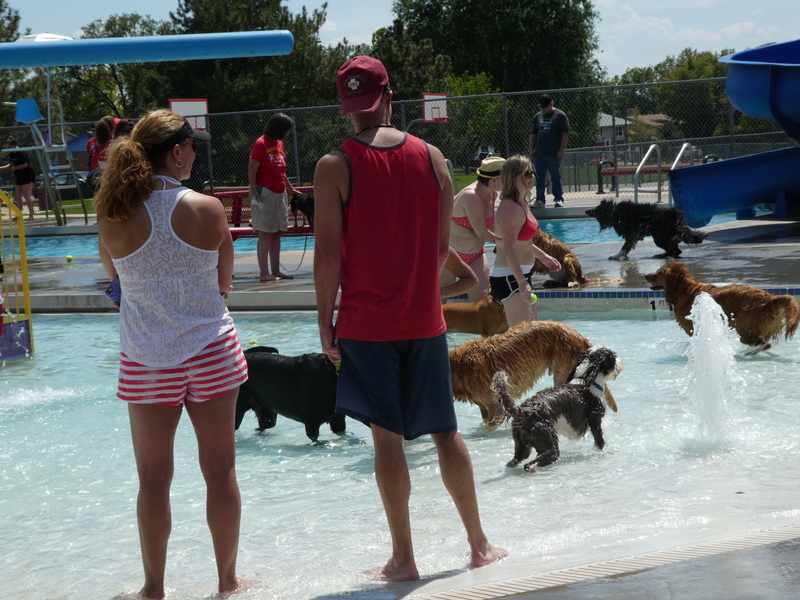 Saturday, the pool was open to humans and their dogs. 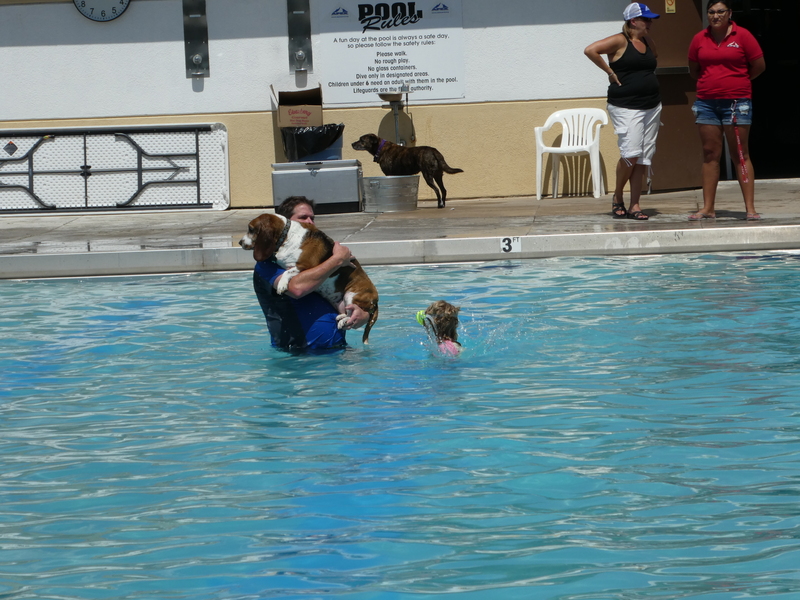 Dogs were allowed in the pool with a human, for two hours. 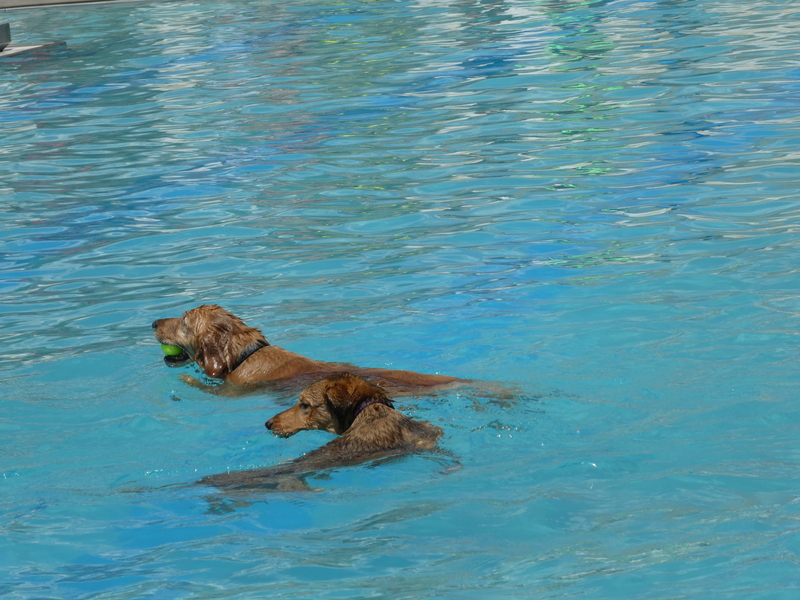 And many dogs enjoyed the pool. 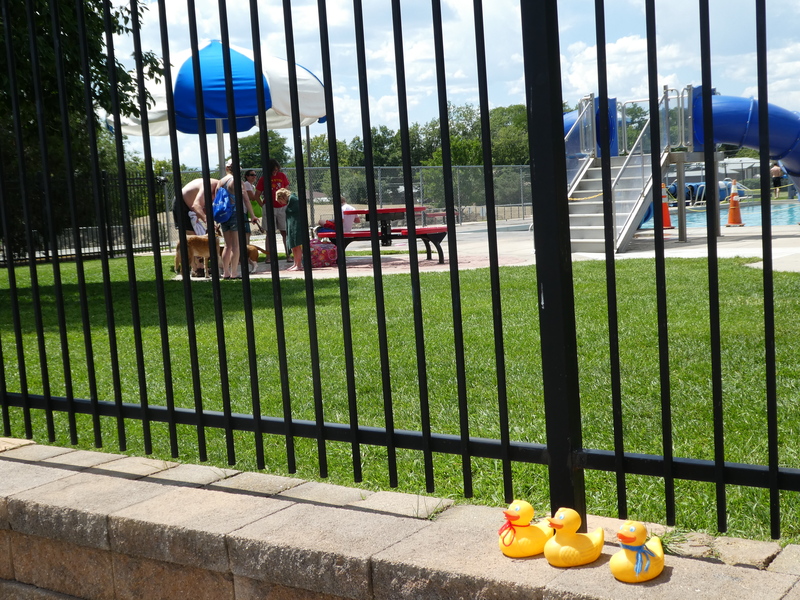 We ducks did not go into the pool, but we did look through the fence. See the dogs of all sizes and colors. And they are going in the pool. This fellow loves swimming with a frisbee. Maybe this dog needed a little persuasion to go in the water. He seems very happy with his human. These two love to swim. Maybe they were here last year. 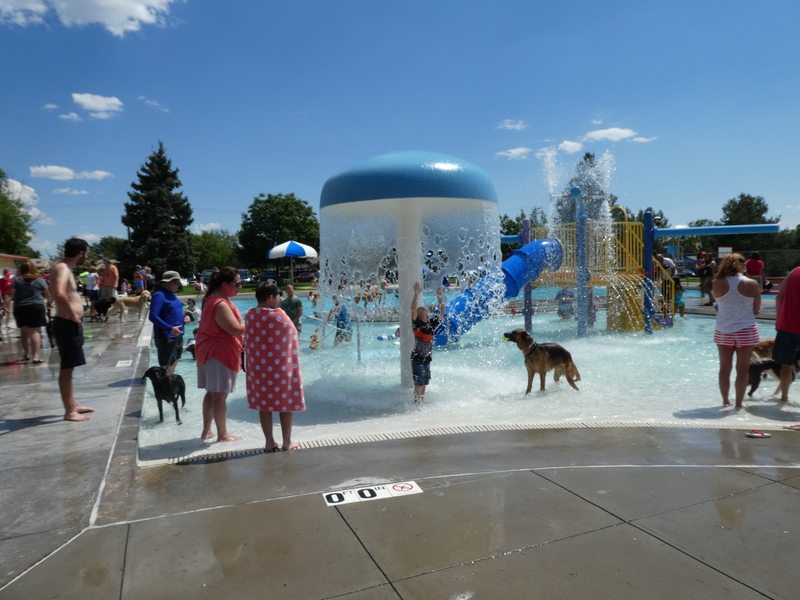 When the two hours were finished, the dogs and families left the pool. No problems when it is time to leave. We saw many wet, happy dogs today. Now the pool has been cleaned, drained and covered, waiting for next summer. 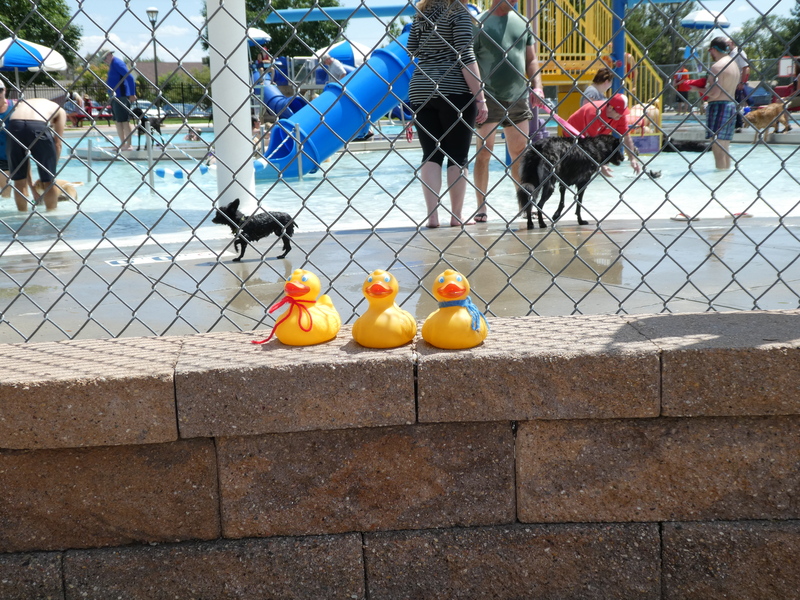 This entry was posted in Colorado, Uncategorized and tagged Colorado, Colorado Traveling Ducks, dogs swimming, swimming pool. Bookmark the permalink. How fun for the dogs, I know our dogs would love to be there. Thank you for sharing your pic’s.